The newly formed luxury French brand, DS, has revealed that it is releasing a ‘spectacular’ new flagship to top its expanding family of vehicles. It's due to hit showrooms by 2020 to mark 65 years since the arrival of the original Citroen DS. Even though the popularity of traditional saloons is in decline, with Ford recently deciding to pull the plug on such vehicles in North America for example, the bosses at DS seem to think otherwise. They feel it is imperative to have such a flagship model in its range. As such, in an attempt to help in the fight against a struggling market, the car is set to receive a more extreme design than the traditional conservative approach of vehicles in that sector. 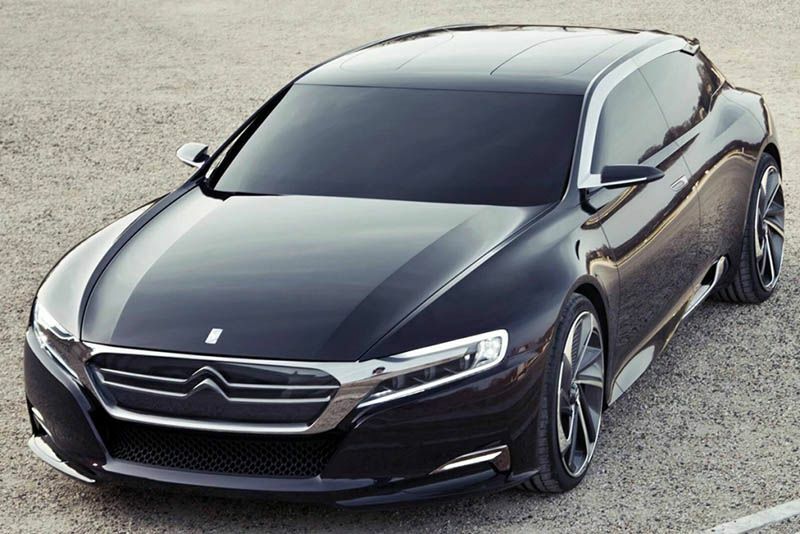 Provisionally named the DS 8, Eric Apode, DS vice-president of product, confirmed at the recent Beijing Motor Show that company bosses have approved the design of the BMW 5 Series rival. “The design is finished and I can tell you the car looks amazing. Since the beginning, it was extremely important to have this car in our range but we will never do a copy; DS is something different, something spectacular. With our flagship we will do that,” he said. Images of the concept released suggest DS has avoided the traditional three-box saloon for a punchy looking fastback with striking rear end instead, while the exclusive images for Auto Express of the yellow vehicle above, suggest design cues from the new DS 7 Crossback up front will keep it in the family. The latest Peugeot 508 will be the base for the DS 8 under-the-skin architecture, while conventional 2.0-litre BlueHDi diesel and 1.6-litre PureTech petrol will be on offer. Apode also suggested that EV will play a significant role in the DS 8, admitting that "electrification has become the new definition of luxury". This likely means that the E-Tense system found in the current DS 7 Crossback will make its way to the DS 8, although it seems it'll have a more modest power output, with an EV range of around 40 miles, and be front-wheel drive only unlike with the SUV. So, what do you think, will DS claim the failing saloon market with the DS 8? Video: Ken Block's Jaw-dropping Take On Utah's Sand Dunes! What's Inside A Mercedes S Class Seat?